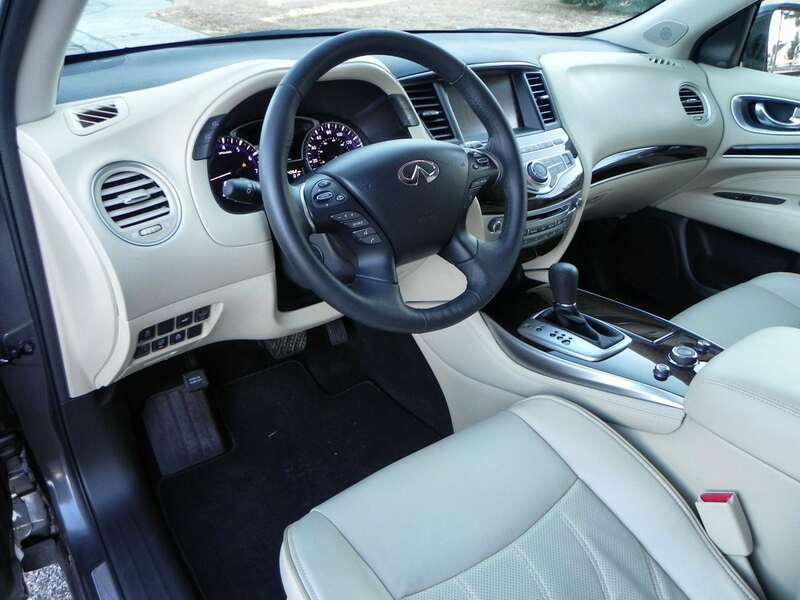 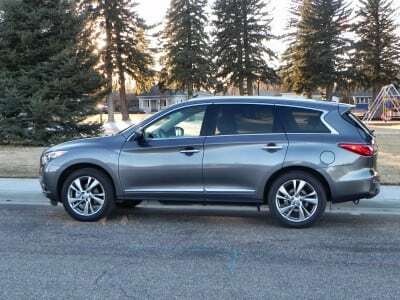 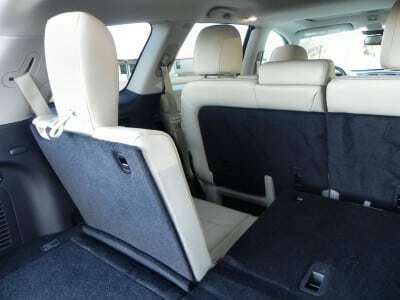 The Infiniti QX60 is a luxury three row crossover that is surprisingly affordable given the top quality furnishings inside and the refined exterior look this crossover carries. 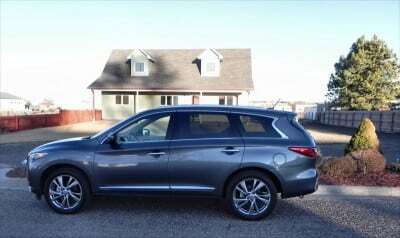 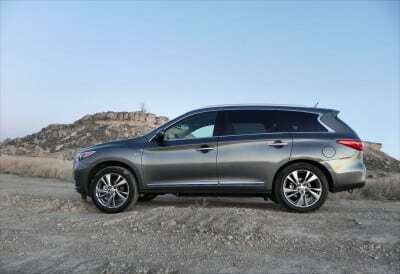 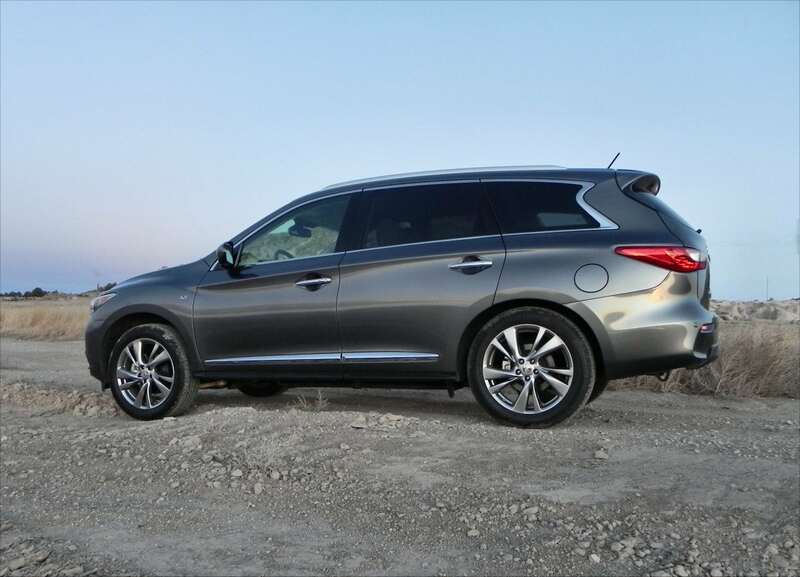 The 2015 Infiniti QX60 carries up to seven people and is offered in both gasoline and hybrid powertrains. 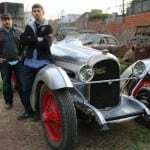 Front-wheel and all-wheel drive are available for both. Standard features are plentiful in the QX60 with several add-on packages stacking on to give more technology, luxury, or both. 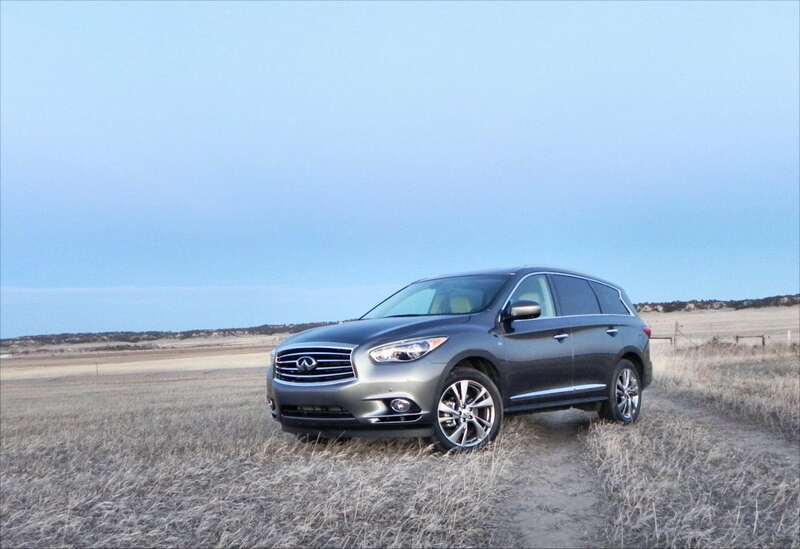 The 2015 QX60 has a refined, contemporary look with a flowing style and capable appeal. Accents across the grille, belt line, and rear prove the QX60’s premium credibility. 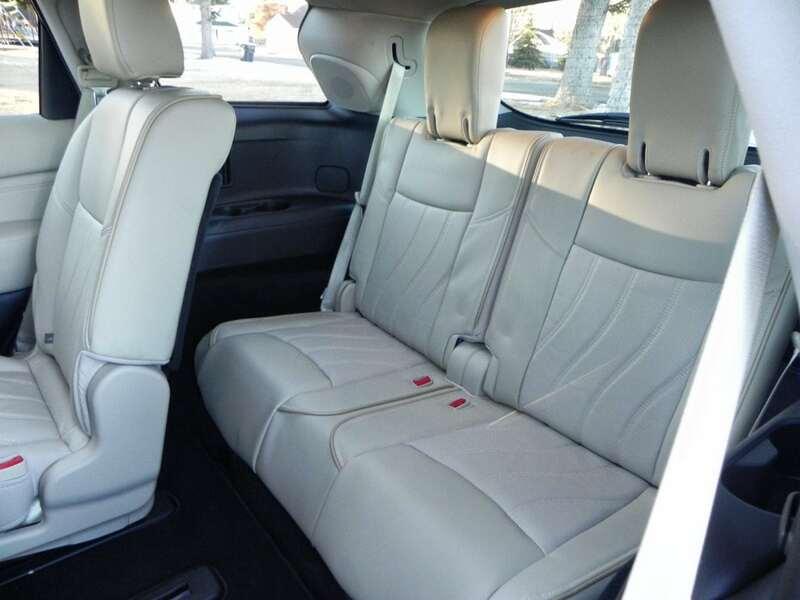 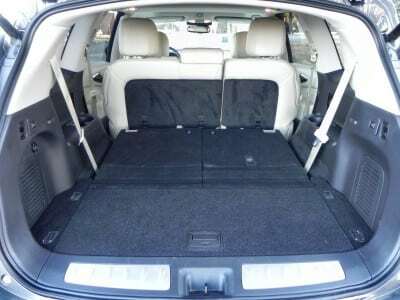 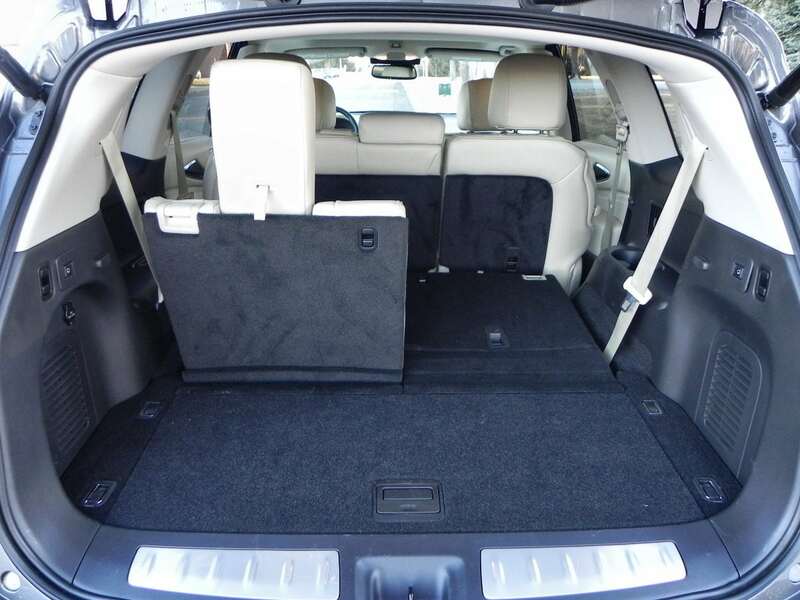 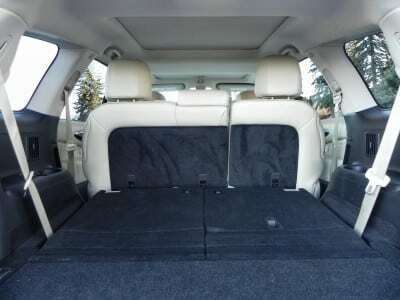 Three things jump out at someone opening the doors of the 2015 QX60: plush excellence, roominess, and versatility. The QX60 has a beautiful interior that is set off with high quality materials, quality workmanship, and a modern, but not too harsh design. 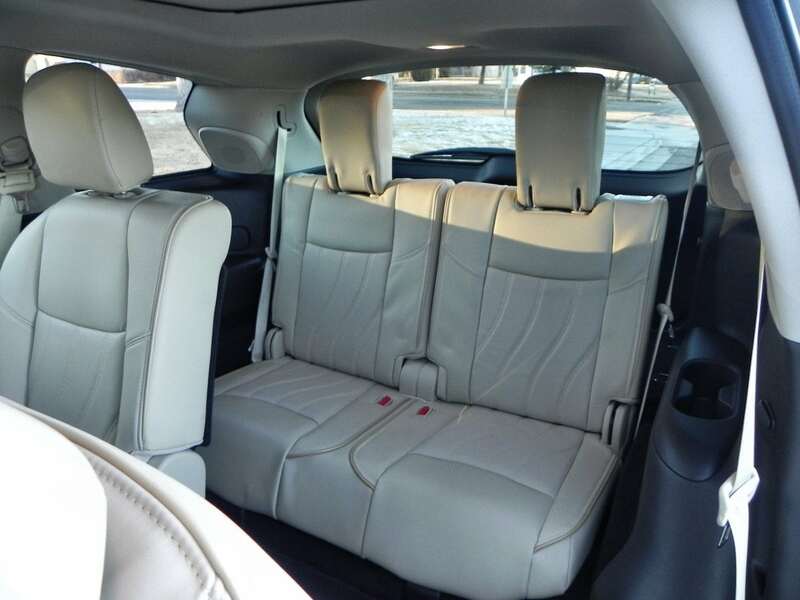 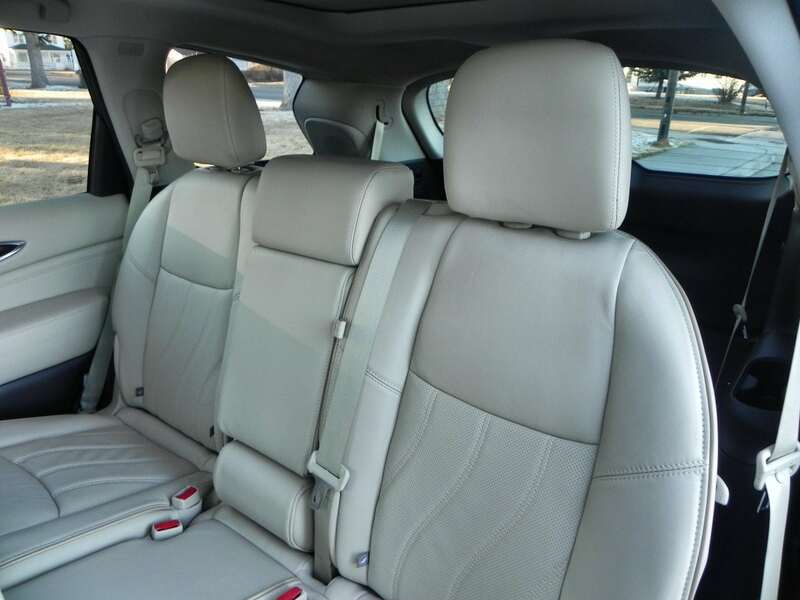 Sitting in the 2015 QX60 reinforces this feeling of comfort and style, and this is true of all three rows of seating in the crossover. 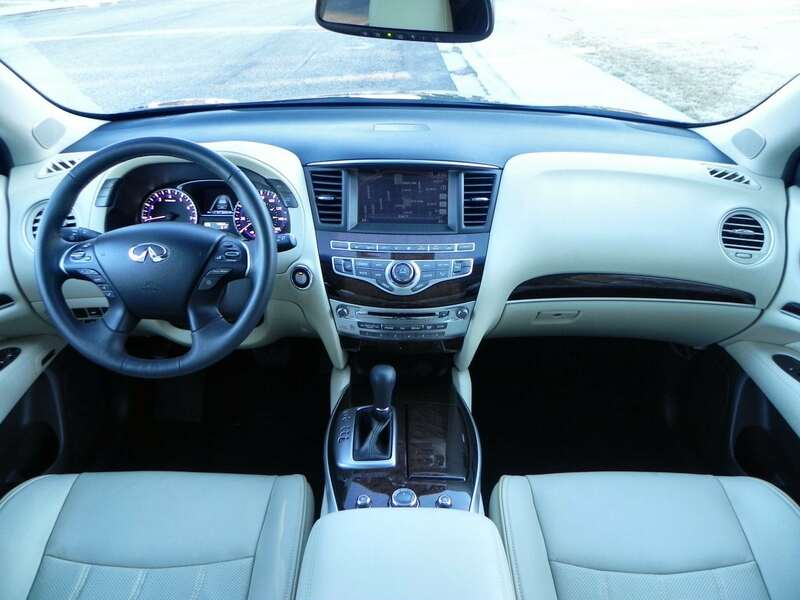 Roominess is another hallmark. 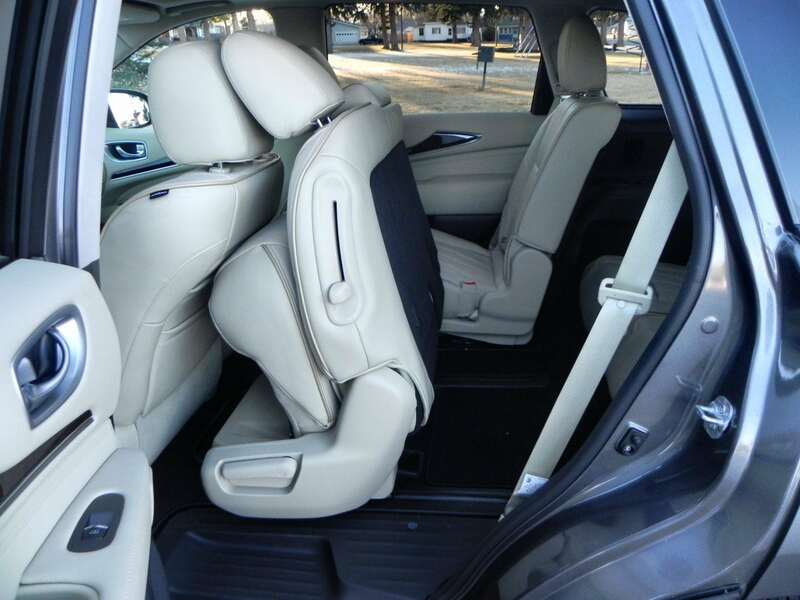 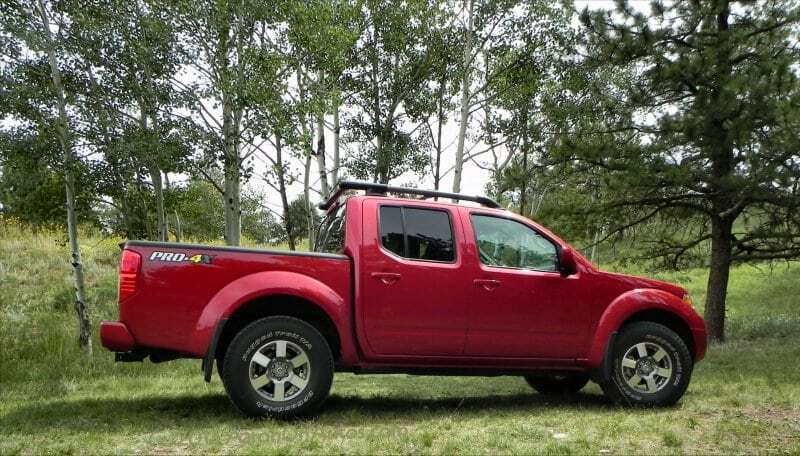 The third row is mainly for children, of course, as this is not a full-sized SUV, but it’s roomy and accommodating for child safety seats or pre-teen children. The second row is beautifully done with the capability of seating up to three across without much cramping. 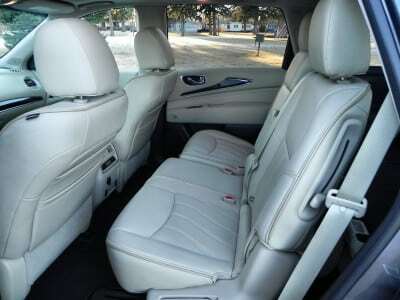 Headroom is good and knee room is excellent, even if the driver or front passenger are tall. The front seats are, of course, almost dreamy. 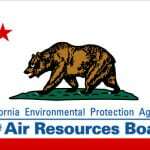 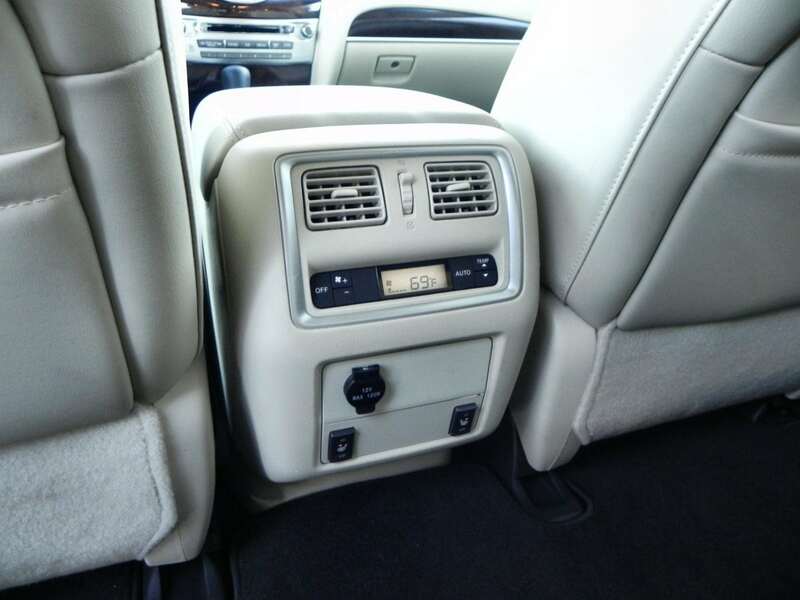 In the cold weather, the standard heating ducts underneath the second and third row will be much appreciated as well. 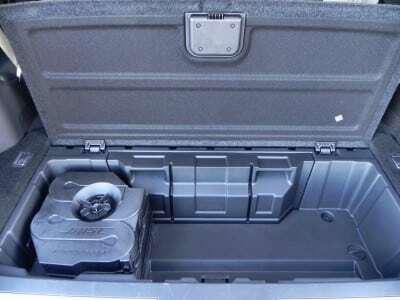 With the third row up, cargo space is limited to 15.8 cubic feet, but with it folded down, cargo expands greatly and with all three rows down, a cavernous and useful 76.5 cubes are available. 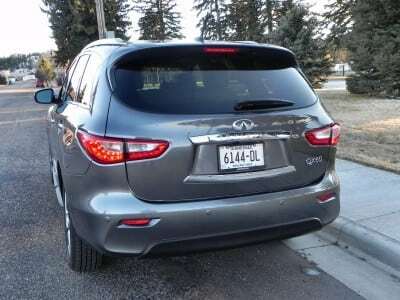 We drove the standard gasoline version of the QX60, which is powered by a 3.5-liter V6 that produces 265 horsepower and 248 pound-feet of torque through a continuously variable transmission (CVT) in front-wheel or all-wheel drive (we had the latter). 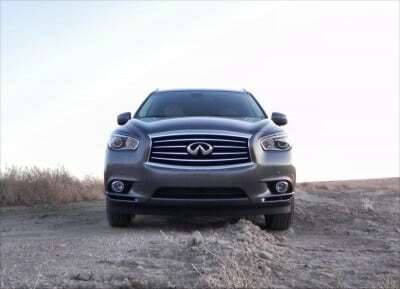 This is enough power to propel the QX60 with confidence without being so much that you feel you’re wasting fuel or getting in too much of a hurry. 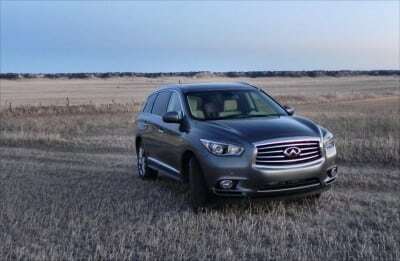 It’s of note that one of the updates made by Infiniti to the QX60 this year is the addition of “shift vectoring” for the CVT to have it mimic shift patterns in a standard transmission a bit, giving the driver a feeling of sentimentality. 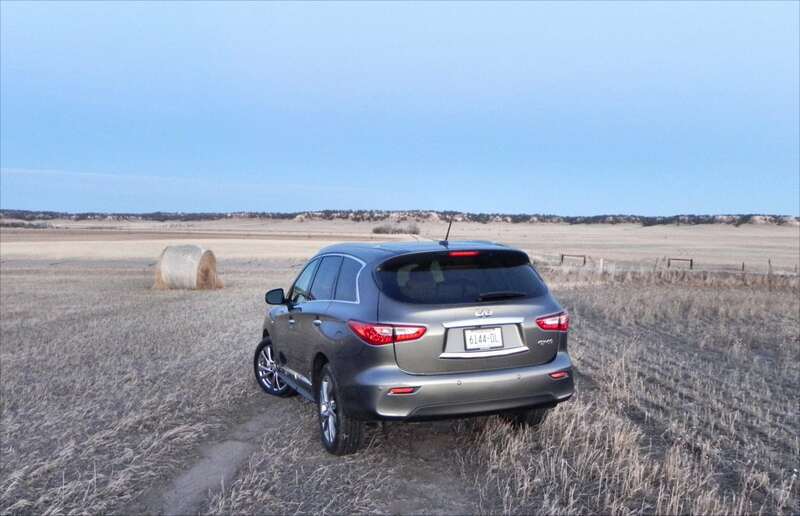 We wish they had included a way to turn this off and allow the CVT to do what it does best, which is give seamless movement without clunking gears or jerky changes. 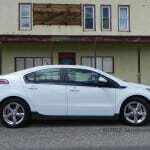 The EPA rates this engine and CVT at 23 mpg combined, with 21 in the city and 27 on the highway. 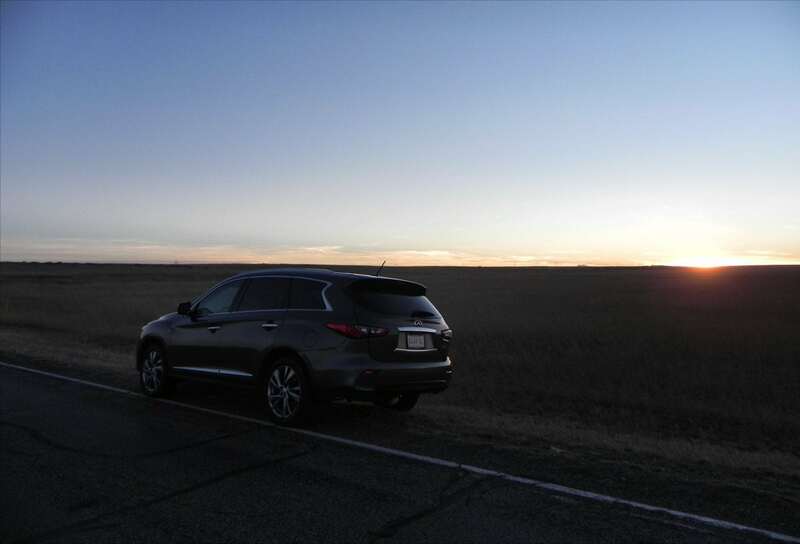 We managed to keep close to that with a 24.8 mpg average in a heavy highway mix that included crosswinds and higher-than-average freeway speeds (80 mph). Around town, the bulk of the QX60 is felt in corners and some tight parking situations, but for the most part, it’s a confident crossover. 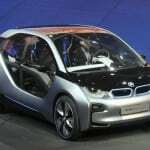 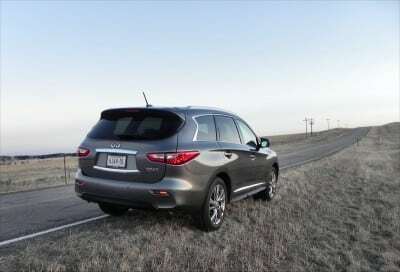 Extras such as the rearview camera and AroundView 360-degree camera system are big bonuses in those situations. 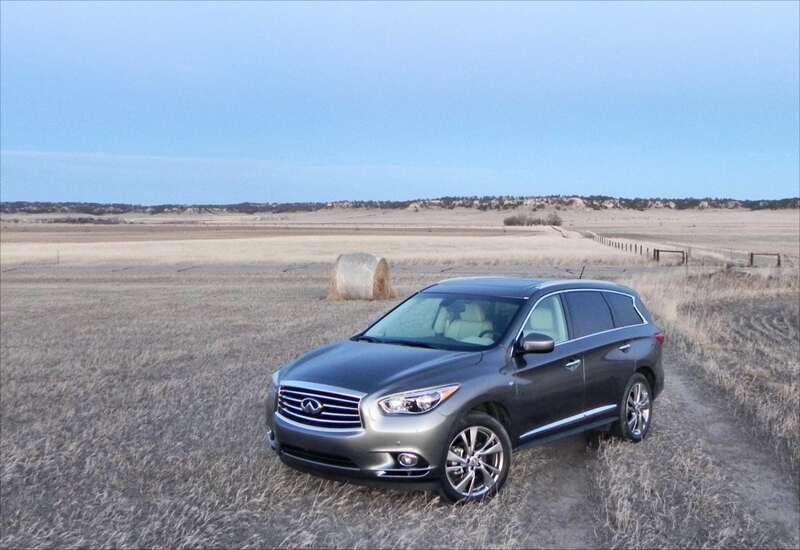 At no time does the 2015 QX60 feel underpowered or incapable. 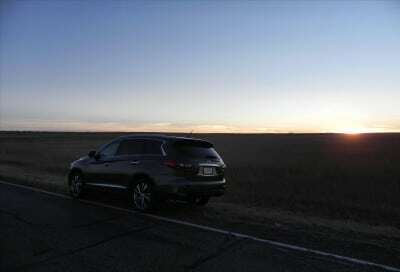 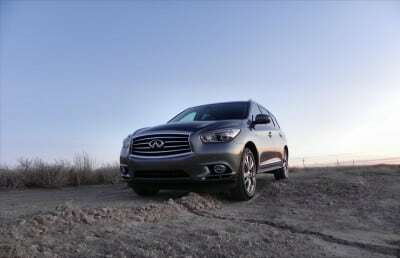 Out on the highway, the Infiniti QX60 is a very comfortable, well-mannered drive with a beautiful feel of the road. Just enough comes through the steering and pedals to let the driver know what is going on outside without becoming obnoxious and cabin noise is minimal in this big luxury crossover. 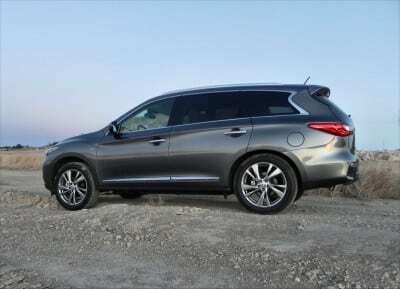 Competitors to the 2015 QX60 include the sporty Acura MDX, the pricey but powerful BMW X5, and the roomy Buick Enclave. 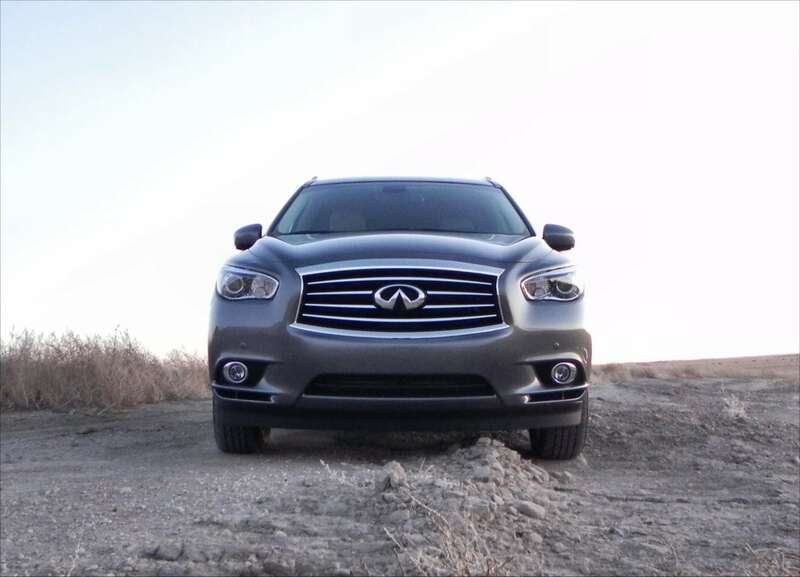 None are as well-rounded as is the Infiniti, however. 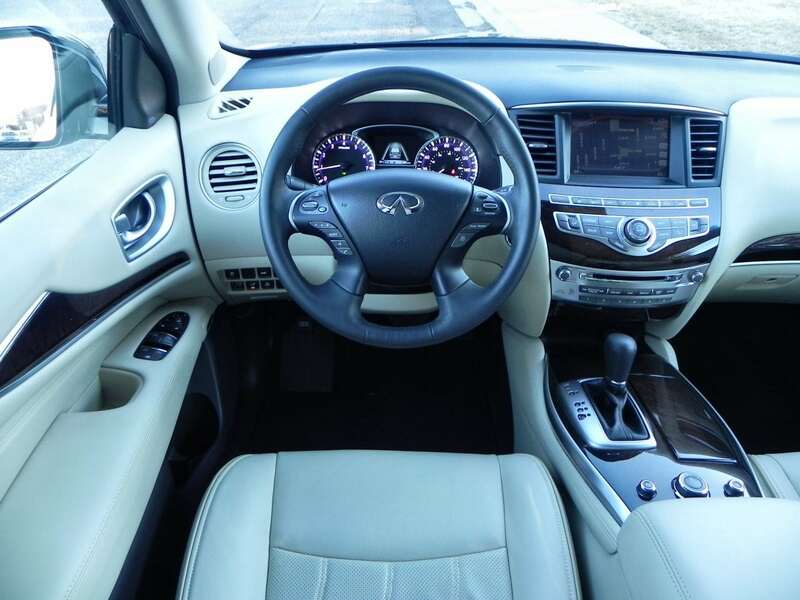 Sport driving fans may enjoy the Infiniti QX70. 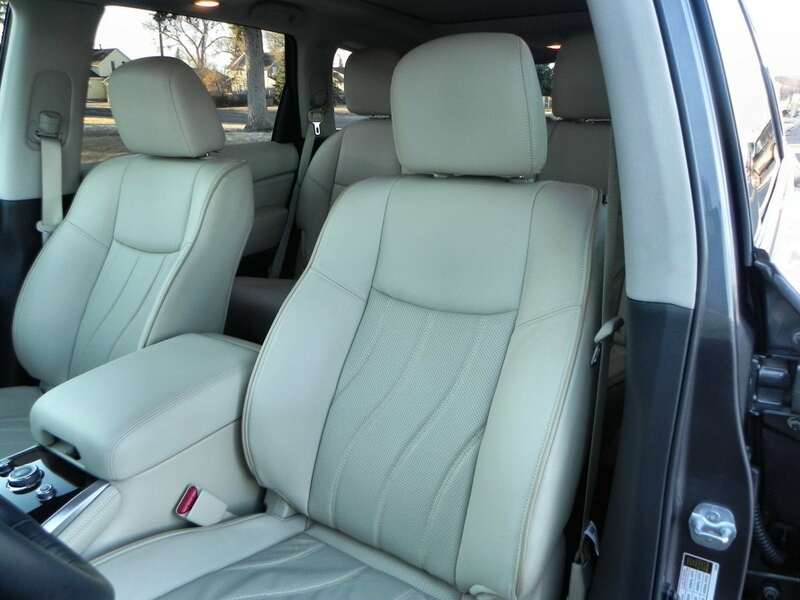 Very luxurious for the price point. 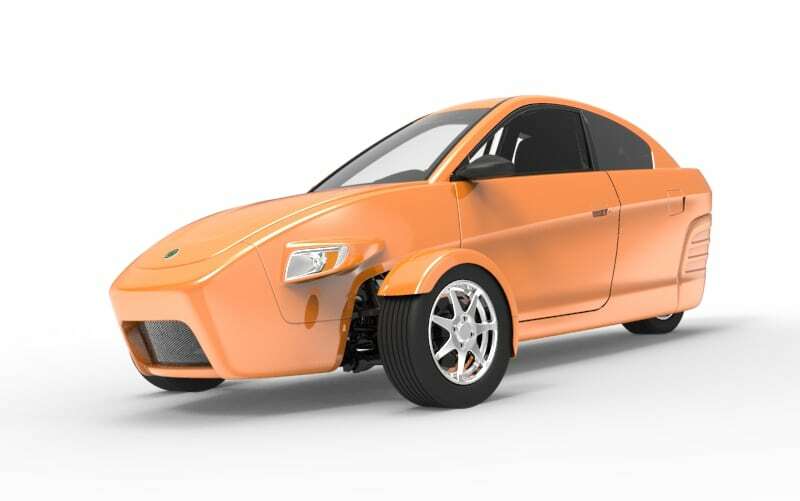 May not be as sporty as some would prefer. Some competitors offer larger interior space and cargo room. 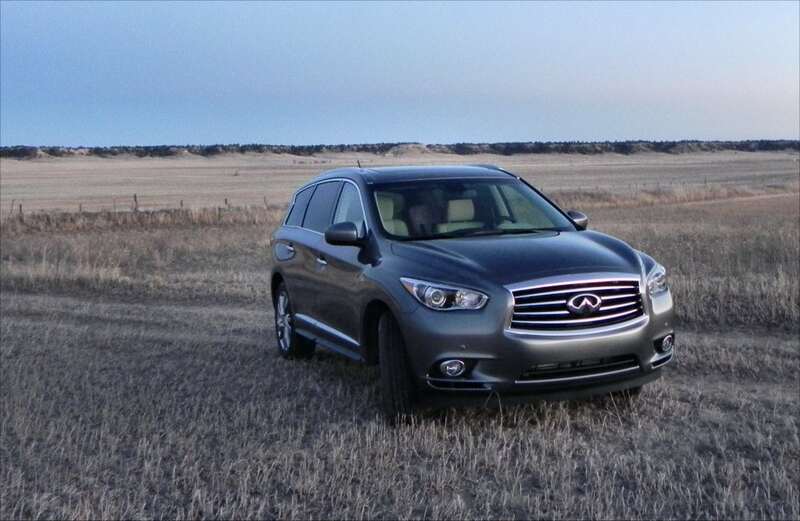 The 2015 Infiniti QX60 is a well-rounded, luxurious midsize crossover that offers a lot to the growing family on the go. 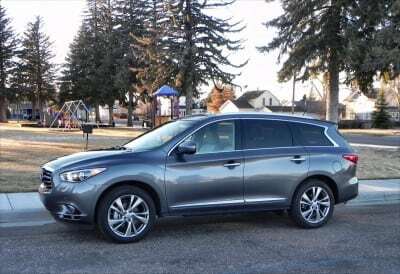 With excellent ride dynamics, a fuel-sipping powertrain, and the ability to get where you need it to go, the QX60 is a great choice in the segment. The QX60 was a manufacturer’s press loan for about a week during which time 198 miles were driven in the vehicle is a mix of conditions.